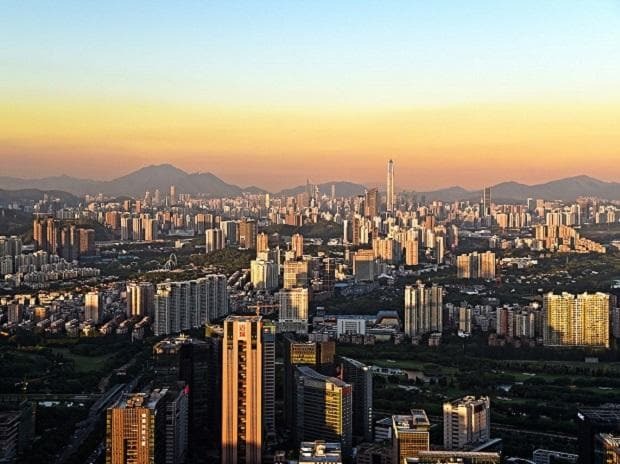 Commonly known as the 'Silicon Valley of China', Shenzhen is now the best place for doing business in the country. This is the finding of a recently released annual report by the Academy of Greater Bay Area Studies, which assesses the business environment indicators of 35 Chinese cities. A small fishing village less than 40 years ago, Shenzhen now hosts industry leaders such as the tech giant Tencent, smartphone producer Huawei, and drone technology innovator DJI. Shenzhen's explosive growth was fuelled by China's Communist Party leader Deng Xiaoping, who designated Shenzhen as the country's first so-called Special Economic Zone in 1979. It opened the region up to capitalism and foreign investment to fuel its development. According to China Daily, over the past year, the number of market entities in Shenzhen reached 3.06 million, becoming the only city to surpass the three million mark in the country. In the 2018 report, Shenzhen's business environment ranking climbed two spots to first place. Compared with last year, Guangzhou, on the other hand, slid to third place from first. The top five cities, therefore, are Shenzhen, Shanghai, Guangzhou, Beijing and Chongqing. The ranking considers a variety of measures, including infrastructure, business cost, soft environment, market environment, social services and ecological environment, in order to draw up a list of the most favourable areas to do business.